Why have a skin peels treatment at Therapy House? If your skin looks dull and tired, a skin peels treatment could give it the lift it needs by gently exfoliating the dead skin cells and revealing the new, healthy skin cells underneath. Skin peels can also promote skin cell renewal and collagen production, so that your skin tone and texture continues to improve after your treatment. Here atTherapy House, we also use carefully chosen skincare products to enhance the results of your skin peel, and give your skin the care it needs to look as healthy as possible. Many skin problems are the result of ageing, sun damage, acne or the build-up of dead skin cells, which can make your skin look dull and unhealthy. By having the appropriate chemical peel for your skin, you should leave the clinic with your skin looking fresher, smoother, tighter and healthier. Skin peels are ideal for tackling issues such as acne and acne scars, rough or dry skin, fine lines and wrinkles, sun spots, hyperpigmentation, freckles, enlarged pores and dark circles. 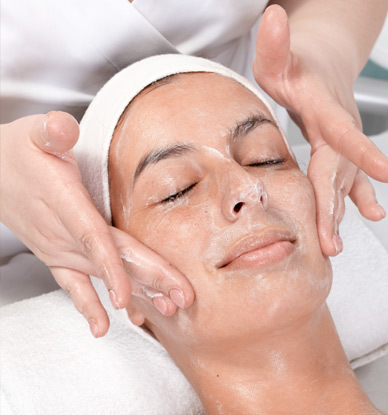 A skin peel is basically an exfoliation stimulated by a chemical solution. By applying a skin peel, we can rejuvenate your skin and improve the appearance of fine lines, elasticity and skin tone, pigmentation and acne. What skin peels are available? The ENERPEEL® SA-CB is a new peel that has been specially formulated to treat acne on your chest and/or back. It combines salicylic acid and specific acne-combating ingredients such as triethyl citrate, ethyl linoleate and GT-peptide-10. A series of peel treatments, as well as using supporting creams containing the same ingredients at home, should help to effectively reduce the bacteria causing your acne and noticeably improve your skin health. This is a superficial to medium peel. The signs of ageing usually begin to show around the eyes and lips where the skin is more delicate and constantly moving with expression. The EnerPeel® EL peel is a gel-based skin remodelling solution that is especially designed for use on and around these sensitive areas. With this peel, we apply four layers one after the other to gradually raise the concentration from one layer of 3.75% Trichloroacetic Acid (TCA) and 15% Lactic Acid up to four layers, which raise the concentration of the peel to 15% TCA and 60% Lactic Acid. As well as providing a safe approach for your eyes and lips, it also means that we can adapt the degree of exfoliation for your individual needs. This is a superficial to medium peel. If you feel that your hands are starting to look older – perhaps because they have age spots and other types of hyperpigmentation, then you can always give them a rejuvenating peel treatment with Enerpeel® Hands. This peel is intended for use on your hands and contains TCA, which is an effective skin remodelling agent, as well as Lactic Acid and Kojic Acid, which are known for their ability to reduce pigmentation. This is a superficial to medium peel. 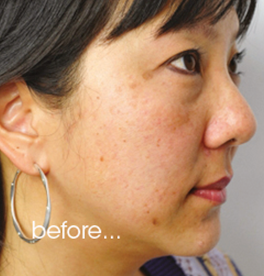 Enerpeel® JR can be used to treat areas of hyperpigmentation and melasma (characterised by blotchy brown patches of pigmentation often caused by hormone changes or sun exposure). It contains salicylic acid (15%), Lactic Acid (20%) Resorcinol (14%). Alternatively, we may recommend using an Enerpeel® JR peel to prepare your skin for more medium to deep peeling as seen with both strengths of EnerPeel® TCA. 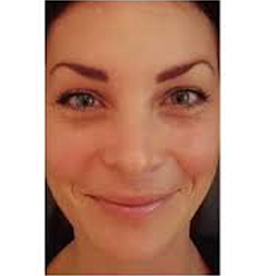 Enerpeel® JR is a superficial to medium peel. 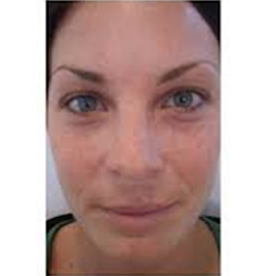 Enerpeel® MA is ideal for controlling the symptoms of rosacea or if you have visible spider veins on your face. Mandelic acid has antibacterial and antiviral properties, and also helps to encourage vascular turnover and regeneration, while suppressing the chemical reactions within your skin that causes redness. This peel works well for rosacea because it incorporates a five percent concentration of Methylsulfonylmethane (MSM). MSM works to increase your skin’s reddening trigger tolerance thresholds and to suppress inflammatory chemicals within your skin. Many people find that by having just two MA peels a year, alongside the use of recommended skincare products, their rosacea and spider veins can be well managed. This is a very superficial to medium peel. Enerpeel® PA is commonly used to treat a wide range of skin issues, including fine lines, wrinkles, hyperpigmentation, and oily skin. Containing 50% pyruvic acid, this ‘soft’ peel offers remarkable results with fewer side effects than many other skin peels. This is a superficial to medium peel. Enerpeel® SA is a skin remodelling peel that is ideal if you suffer from acne. Salicylic Acid is known to reduce the production of oil/sebum, while the peel contains triethyl citrate and ethyl linoleate, both of which have been shown in a clinical trial to reduce the four main visible signs of acne. This is a superficial to medium peel. Enerpeel® TCA is available in two different concentrations (25% and 40%) to provide different depths of skin remodelling. This peel can improve your skin tone and texture, scarring, freshness, and fine wrinkles. It can also help to remove superficial discolouration, such as age spots. The 40% concentration may be suitable for treating more severe skin problems. It can therefore be offered as a superficial to deep peel, depending on your needs. The Perfect Peel can be used on all skin types and will leave your skin looking younger, healthier and clearer in just one week. It contains Glutathione, which is an antioxidant ingredient not previously used in skin peels. Glutathione penetrates the skin at a cellular level to fight oxidant damage and prevent premature lines and wrinkles; it can also lighten areas of pigmentation. In addition to Glutathione, the Perfect Peel includes a blend of kojic acid, TCA, retinoic acid, salicylic acid, phenol, as well as key vitamins and minerals, including vitamin C. When combined, these ingredients can help to increase collagen and elastic production, reduce wrinkles, correct pigment problems, and reduce inflammation associated with acne and rosacea. To follow your Perfect Peel, we will give you a home treatment pack containing retinol wipes and a vitamin C moisturiser to assist the peeling process and enhance the results. What happens during a skin peel treatment? During your treatment, we will carefully cleanse your skin and apply thin coats of the chosen skin peel solution to your face. A post-peel mask is then applied. After several days, you may notice some mild peeling as the solution removes the top layers of your skin to reveal the healthy skin cells underneath. Your new regenerated skin will feel smoother, less wrinkled, and have a more even tone and colour than your skin before the treatment. We will give you a pre-treatment skin regime to follow for up to two weeks before your treatment to prepare your skin for the peel. 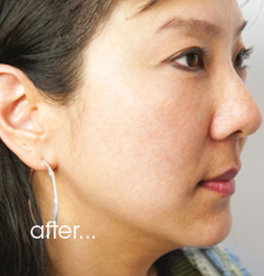 A skin peel appointment typically takes between 15 and 30 minutes. For most peels, you will need at least four sessions a few weeks apart to experience the best results. Will it be obvious that I’ve had a skin peel? Most of the peels above are fairly superficial when compared to the deep carbolic acid peels that do cause excessive peeling. As mentioned above, you may experience some mild peeling after a couple of days but this can usually be managed with a good moisturiser. Most people find that their friends, family and colleagues comment on their radiant complexion, but no-one can tell that it’s been achieved with a skin peel. This really does depend on your skin type and the level of skin peel you have. We will discuss the predicted outcomes with you in more detail during your consultation. The skin peels we offer are relatively superficial, which means that you won’t need any anaesthesia. You may feel a slight stinging sensation as the peel solution is applied to your skin, but you should find this feeling passes quickly. A few hours after your treatment, your skin may look red or even feel slightly sunburnt, but this should resolve within a few days. Once any redness subsides, you may experience some mild peeling. Some people are allergic to the chemicals used in skin peels – if you have any allergies, please do discuss this with us at your initial consultation. Although most people carry on with their day as usual after a skin peel, you may want to take some downtime if your skin looks red for 24-48 hours post-treatment. Does The Perfect Peel differ from the EnerPeels in any way? When The Perfect Peel is applied, you may feel a slight stinging or tingling sensation for approximately 30-60 seconds. Most people find that their skin just looks slightly red and sunburnt for the first 24-48 hours post-peel; it may also feel tight and itchy. On day three post-treatment, you should expect your skin to start peeling; this will continue until day six or seven, after which the peeling process should be complete. Depending on which peel you will be having, we will give you special cosmeceutical products to apply to your skin for up to two weeks before and/or after your skin peel to ensure the optimal results. Want to know more about Skin Peels?